[Updated with video] Scientists from Nekton undertaking the XL Catlin Deep Ocean Survey, have discovered a new “biological hotspot” on Argus Seamount, some 30 miles south west of Bermuda. Diving in cutting-edge manned submersibles adapted with the latest scientific and filming equipment, the scientists are the first to biologically document and sample the previously unexplored seamount. There are more than 100,000 seamounts globally but less than 40 have been biologically sampled in detail. Nekton’s principal scientist Professor Alex Rogers, from the University of Oxford, said: “We have discovered a new mesophotic algal forest with almost total coverage of dense growth. 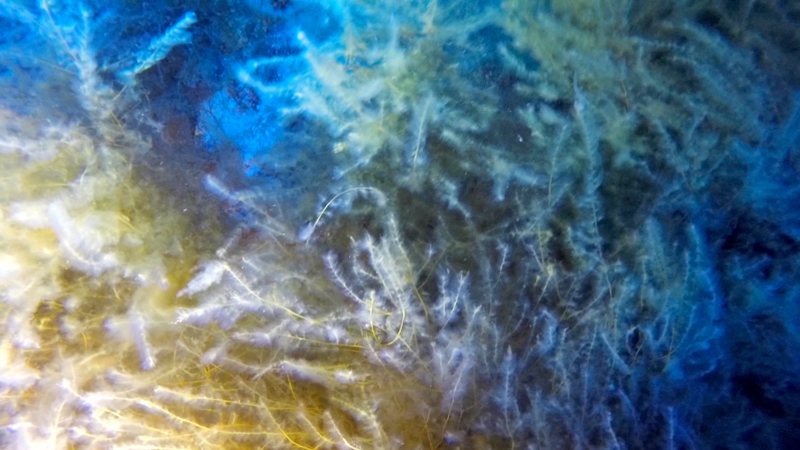 This nutrient-rich algae is crucial as it feeds the deep sea just like a deep ocean ‘pasture’. Mesophotic coral reefs, from meso meaning middle and photic meaning light, are characterised by the presence of both light dependent coral and algae and organisms that can be found in water with low light penetration. They normally grow between 30-40 metres but can be found at depths up to 150 metres in tropical and subtropical water. 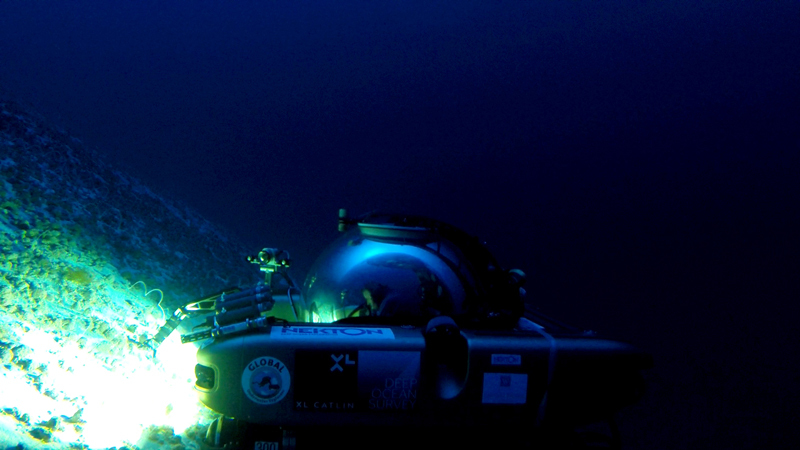 The scientists, aided by underwater cameras and filming equipment, captured unique images and footage of the spectacular display during the descent, which are being made available to encourage future exploration. The XL Catlin Deep Ocean Survey, a pioneering new multi-disciplinary marine research programme investigating physical, chemical and biological indicators to assess the function, health and resilience of the deep ocean, forms part of Nekton’s research programme in the North West Atlantic. Coral reefs are the rainforests of the ocean and home to an estimated 830,000 marine species, a third of all marine species. Local Bermudian scientists who participated on the dives were surprised to see such a density and diversity of coral. The slopes of the Argus Seamount were found to have gardens of twisted wire corals and hydrocorals, hiding fast-moving sea urchins, green moray eels, yellow hermit crabs and a yet to be identified species of small pink and yellow fish. Leaving the summit and descending down the flanks of the seamount, Professor Rogers’ team discovered further dense coverage, gardens of black coral and communities of urchins, hermit crabs and other mobile fauna, living within these forests, likely feeding off algae drifting off the summit and settling on the deep seabed. 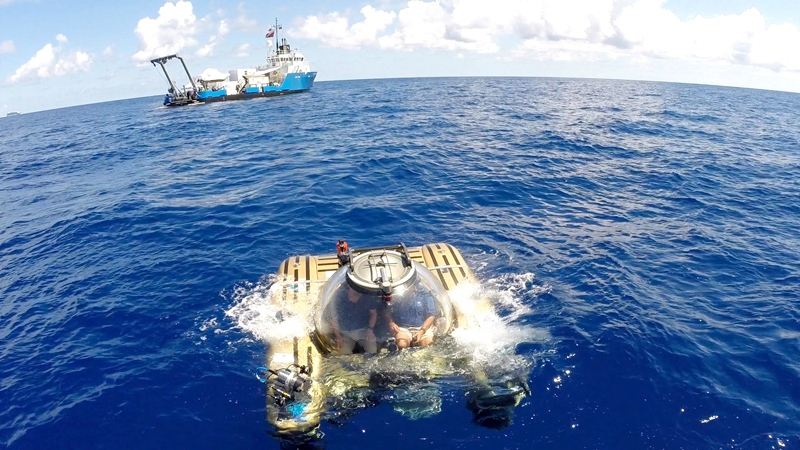 During the first week of its mission, Nekton has completed over 40 transects from surface to seabed using submersibles and technical dive teams. 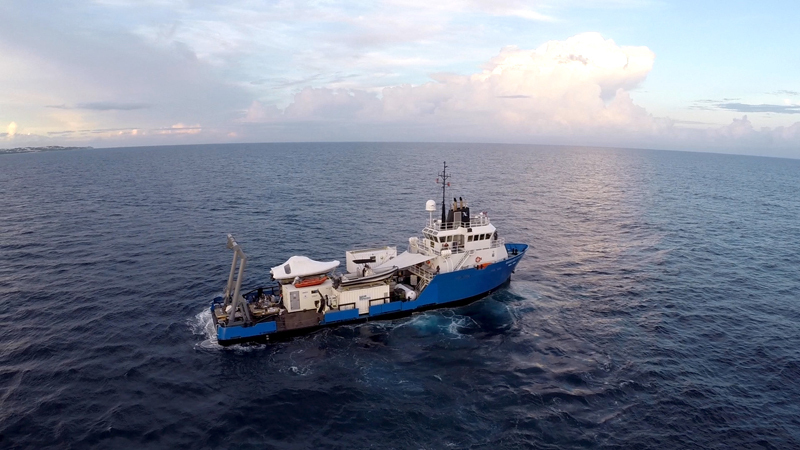 Scientists from a dozen marine research institutions are participating in the four week mission across three locations: Bermuda, Nova Scotia and the High Seas [NW Atlantic & Sargasso Sea] with operations completing on August 14. And it is seamonts like this that would be totally destroyed by undersea mining. There was little doubt in my mind that they wouldn’t find something of real value in the natural marine environment. Now, what will be do with that discovery? Would love to see some of the raw footage from Argus. And some wish to mine the seabeds for profit. Leave the ecosystems alone. They are an important part of all marine life! Brave people. better hope you don’t run into any of those aliens rumored to live in cities deep in the atlantic ocean. British military has military files from decades ago which state how ships stationed out off Bermuda saw and tracked unknown craft entering and exiting the open ocean. No lie. I have an intelligent question. Can you catch crabs down there? Argus Island is the most hush-hush island of the Bermuda islands archipelago. Between july 1, 1960 and januaray 1, 1962, The United States naval Station in Bermuda spent some $7,000,000 on various projects among which the construction of an island on this submarine cone 30 miles south-west of Bermuda proper was of major importance.. Research had been on-going for a time, This is nothing new just revisited… Our history being so secreted from us is not taught in our school system so this information not widely known… This is not a new discovery, its old but was kept secret!